The leader of the Islamic State group, Abu Bakr Al-Baghdadi, apparently resurfaced this week, urging his followers to “persevere” and continue attacks on Canada and other Western countries in a purported audio recording, his first in almost a year. In the 55-minute statement, he praised what he described as the “striking lions” behind recent attacks in Canada and Europe and called on believers to use bombs, knives or cars to carry out attacks. 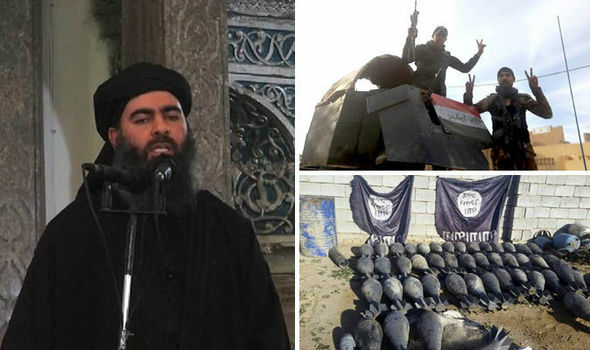 ISIS has lost around 90 per cent of lands it formerly controlled in Iraq and Syria where the group announced Al-Baghdadi as a Muslim caliphate in June 2014. Baghdadi’s only appeared in public in the same year in Iraq. There have been recurring statements of his death or injury, including the latest Russian officials report there was a “high possibility” that Baghdadi was killed in a Russian airstrike on the outskirts of Syria. However, airstrikes killed his son in Syria in July according to the Islamic State’s news channel. ISIS has claimed responsibility for various terrorist attacks around the world, including the July shooting in Toronto, Canada that left two people dead and 13 wounded to a recent Paris knife attack. In both recent situations, law enforcement has not declared any links of attacks to ISIS. The reason ISIS act as a dreadful threat because the group is generally run by the former high-ranking army and intelligence officers from the Saddam Hussein regime, and their skills and experience, together with the bloodlust and fighting spirit account for the ISIS meteoric rise. The U.S. State Department offers a reward of up to $25 million for information or intelligence leading to Al-Baghdadi’s, the leader of Islamic State, arrest or death. The US-led coalition has worked vigorously to diminish the threat ISIS poses to International security along with capturing Al-Baghdadi haven’t been an absolute success as ISIS still conduct and inspire sympathizers to attacks in western countries. According to FBI Director James Comey, most of the jihadis are motivated by foreign terrorist organization propaganda online. Several attacks on America and Europe were conducted by locals who have received ideological support and practical instructions from members of the Islamic State. Law Enforcement arrests more than a hundred alleged ISIS-sympathizers in western countries yearly. After the Al-Baghdadi’s audio recording, Canada and other western countries are in imminent danger. Canadian Law Enforcement agencies need precise intelligence and lead to eliminating the present ISIS threat by arresting ISIS-sympathizers in the country and using the same technology to reverse engineer the terrorist network and arrest Al-Baghdadi. It’s been a dream of law enforcement professionals to interrogate a terrorist suspect with such forensic technology that would allow interrogators a foolproof way of extracting information about planned attacks and accurately determine whether a suspect is foot-solider or mastermind of the plot. The technology that fits the bill has already been developed by Brainwave Science and it’s called iCognative. This technology addresses one and many major problems faced by all law enforcement agencies, how to distinguish an innocent from a terrorist when both look identical in the public sphere. iCognative technology provided only by Brainwave Science is advanced, impeccably accurate means to determine critical information hidden in the brain of terrorists or sympathizers. Utilization of iCognative enables acquisition of details recorded in their brains with all the concealed information required to eliminate such imminent threat in approximately 45 minutes. Any person that poses threat to national security can be subjected to non-invasive, torture-free iCognative test. iCognative technology understands that the fundamental difference between the perpetrator and an innocent is the specific information of the crime stored in their mind. As the perpetrator would recognize specific information while an innocent suspect won’t. iCognative test scientifically and accurately differentiates the perpetrator from innocent by analyzing brainwaves responses to such specific information with over 99% accuracy. iCognative when utilized by law enforcement agencies swiftly delivers valuable and accurate intelligence, missing links and other vital information about the ISIS terrorists and supporters. Within 15 minutes, case facts are loaded into the system and an investigator is ready to conduct a iCognative test on any suspect or person of interest relevant to this case. Case details such as cryptic communication methods; website used to link ISIS; ISIS handlers; insider information on ranks; bank detail or information on other sympathizers in the country; plans for future attacks and locations; along with other details called Stimuli are used in conducting iCognative test. Terrorists can lie and cheat the polygraph test but when confronted by iCognative test, they can’t hide any information because the test is unbeatable, tapping directly from the source- human brain. Once all information collected through investigation (Stimuli) are loaded into the system for the test, this foolproof iCognative automated proprietary system analyzes and records brainwave responses to each stimulus and provides determinations with an accuracy rate over 99.9%, leaving no room for error. As the threat is real and critical, one wrong decision could result in the loss of innocent lives. It is only imperative that the Royal Canadian Mounted Police, anti-terrorism unit deploys Brainwave Science‘s iCognative to fight the terrorist threat to advance their national security mission.